When this volume was published in 1993 it was the first comprehensive analysis of the major policy issues confronting Japan’s massive foreign aid programme. It deals with the philosophy behind Japan’s aid, Japanese reactions to the severe criticisms of its programmes and the beginnings of meaningful administrative reform of the complex aid system. 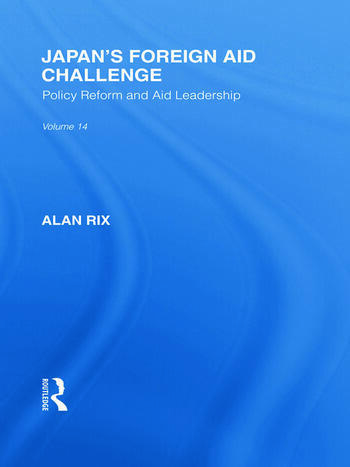 Alan Rix goes on to examine the widespread innovation in programmes and policies to make Japan’s aid more responsive and the impact of the Asian bias in Japan’s aid.